Tameka, whose nickname "Tiny" is attributed to her 4' 11" height, resides with her daughter Zonnique Jailee Pullins (born 1996). She along with former band mate Kandi Burruss wrote for group girl group TLC on their hit song "No Scrubs". 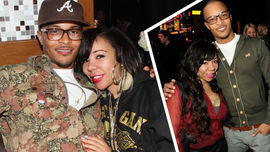 She is in a relationship with successful rapper T.I., and they had a son named King (born August 25, 2004) together. Tameka "Tiny" Cottle became famous through the group Xscape. In the group she sang some leads, and the higher-pitched vocals in the harmonies. She sang leads in their hit singles "Understanding", "My Little Secret" and "Do You Want To" amongst others. 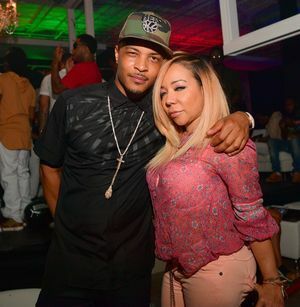 Buys $225k Birthday Benz for Tiny!!! T.I. 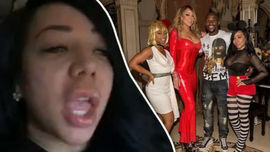 and Tiny Are Done: Over Mariah? ?